New York, NY - September 1, 2009 - From September 17th through October 23rd, Acquavella Galleries will exhibit Grands Formats (Large Scale) works by renowned twentieth-century Canadian artist, Jean Paul Riopelle (1923 – 2002). The current exhibition presents a selection of Riopelle's large-scale paintings from the early 1950s through the 1970s in addition to four monumental works on paper from the 1960s. While many of the works have been shown in important exhibitions, such as the 1981 Riopelle retrospective that travelled from the Centre Georges Pompidou in Paris to major museums throughout Canada, Mexico, and Venezuela, others, such as the exuberant triptych "Les Picandeaux" (1967) will be exhibited for the first time at Acquavella Galleries. 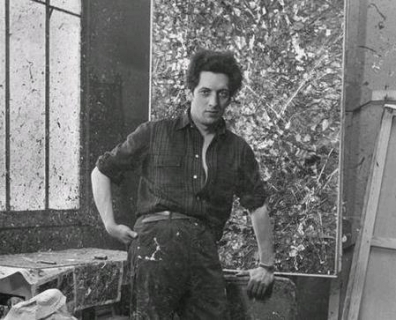 Born in Montreal, Riopelle studied art in Quebec and exhibited with the Automatist circle in Canada before moving to Paris in 1946. In his early days in Paris, he enjoyed the company of many avant-garde artists and writers such as André Breton, Alberto Giacometti, Sam Francis, Joan Mitchell (who would become his lifetime companion for twenty years), and Samuel Beckett. Though based in France, he frequently visited and worked in Quebec. Upon his death in 2002 he was accorded a state funeral in Montreal. Although Riopelle refused to be labeled an "abstract" artist, curators and critics have deemed him a pioneer action painter alongside Americans like Jackson Pollock and Franz Kline. Using expressive and vigorous swathes of paint applied generously with a palette knife, Riopelle produced dynamic compositions. His fascination with speed also inspired a passion for car racing and a collection of vintage cars. In a critically important painting from 1952 included in the current show, "Quinze Chevaux Citroën (Fifteen Horsepower Citroën)," Riopelle splattered trails of paint across the canvas to achieve a sense of heightened energy and vitality that reflected the speed of the Citroën automobile. With his innovative painterly technique, Riopelle created sparkling, energetic surfaces with thick impasto and vivid colors. Despite their ostensibly abstract appearances, many of Riopelle's works were inspired by and reference the Canadian landscape. … a number of large-format canvases from this time reflect Riopelle's energetic exploration – a clear evolution – into new territories. In vast compositions, the masses of color become more compact and more autonomous, but always dominated by the authority and speed of the gesture… These works bring alive a sense of the great north, of the seasons, of time held still, of time passing! Acquavella Galleries is located on 18 East 79th Street. The gallery is open from Monday – Saturday from 10 am to 5 pm for the run of the exhibition. For visitor information, please visit www.acquavellagalleries.com or call 212-734-6300.